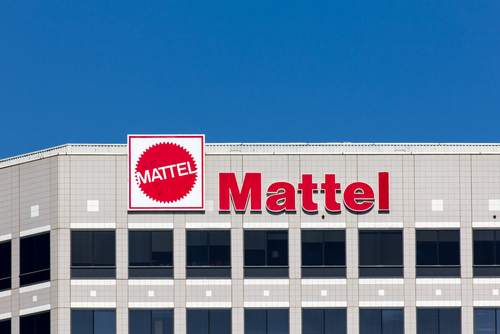 Mattel, Inc. (NASDAQ: MAT) reported its fourth quarter financial results on Thursday and saw stronger sales across its major brands like Barbie dolls and Hot Wheels. The better-than-expected sales sent its stock price soaring by over 25% on Friday. For the quarter, Mattel reported earnings per share of USD 4 cents per share on revenue of USD 1.52 Billion. Refinitiv analysts projected earnings loss of USD 16 cents per share on revenue of USD 1.44 Billion. Mattel’s earnings increased significantly from the year prior of a loss of 82 cents per share. Despite the year-over-year rise, the Company’s revenue still fell 5.4% from the year prior. The Company said in its earnings release that sales in its North America segment declined by 6% year-over-year. Gross sales in North America also decreased by 10%, primarily impacted by the liquidation of Toys “R” Us. International sales helped offset North American declines for the quarter. Internationally, Mattel reported net sales increased by 2%, but gross sales decreased by 7%. The gross sales decline was driven by a slowdown in Mattel’s China business as well as the Toys “R” Us liquidation. Mattel Power Brands gross sales were USD 1.2 Billion for the quarter, decreasing by 6% year-over-year. Sales from Barbie and Hot Wheels offset some of the losses, as the two segments increased by 12% and 9%, respectively. However, sales for Fisher-Price, Thomas & Friends, and American Girl all fell substantially. $MAT up 26% now on news it survives another quarter. It will be interesting to see how much else they have to cut to keep going. Toy Box and Emerging Markets in general are a disaster. American Girl is closing Mall locations, that’s not bullish. Weird reaction today. People love “turnaround” stories, but $MAT remains in a secular, slow decline. And trades at 40x EBITDA. $8B TEV.